We can be your very own virtual welding manager covering all aspects of your welder and welding requirements; from procedure writing to subsequent approval of your welders to that procedure as well as problem solving and pre-employment assessments. Our highly competitive rates give you all the benefits of having a welding manager without having someone on the pay-roll. In this tough trading economy, can you afford to turn any work down? 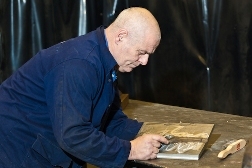 If you are venturing into new markets or just happen to have been approached to undertake work that is outside your usual scope; we are ideally suited to assist you in putting in place the appropriate welding procedures and to ensure your welders are trained and approved to the relevant standard.